From EWG: “The known extent of the contamination of U.S. communities with PFCs – highly fluorinated toxic chemicals, also known as PFASs, that have been linked to cancer, thyroid disease, weakened immunity and other health problems – continues to expand with no end in sight. New research from EWG and Northeastern University in Boston details PFC pollution in tap water supplies for 15 million Americans in 27 states and from more than four dozen industrial and military sources from Maine to California. 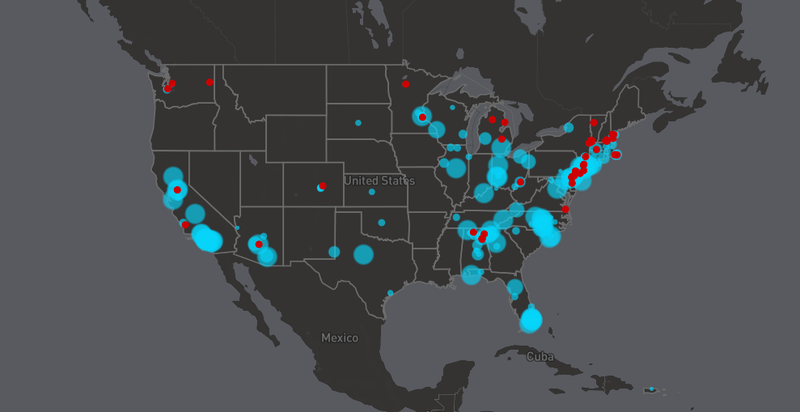 “EWG and the Social Science Environmental Health Research Institute at Northeastern collaborated to produce an interactive map that combines federal drinking water data and information on all publicly documented cases of PFAS pollution from manufacturing plants, military air bases, civilian airports and fire training sites.” Read more.